SHARP is the first integrated release system for ambulance stretchers and it works combined with S-MAX, the new flat 10G fastener without clutters for stretchers developed by Spencer. Let us discover how these devices increase safety during unloading procedures! 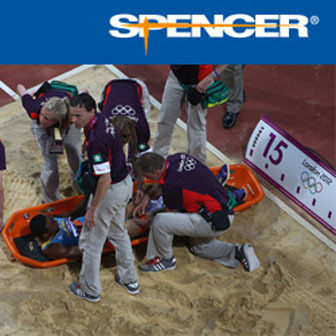 Spencer is a leader company for the manufacturing of self-loading stretchers and medical devices, known all around the world and popular for their quality and durability. Following this tradition, the Spencer Research and Development department tried to solve a serious problem complained about by paramedics and EMT: unloading the stretcher from the ambulance. This is not a small matter operation and represents the most potential danger situation to do in an ambulance: a sloping ground or a not ergonomic device can cause a loss of confidence for any rescuer. Putting a hand beneath the stretcher to release it causes not such a good feeling. 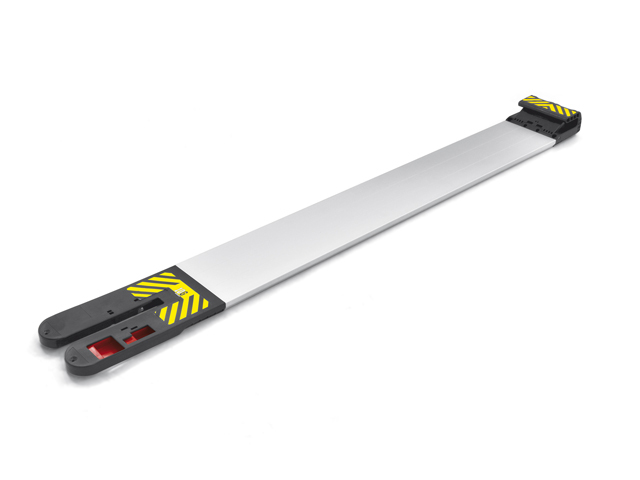 Unloading a stretcher is the main cause for rescuers’ injuries: only a wrong movement or the activation of the wrong lever without attention can cause serious injuries both to the rescuer and the patient. Spencer found a solution combining the devices, which make the unloading of a stretcher from the board of the ambulance smoother and safer. First, Spencer studied a new fastening system for stretchers. If the aim is to make the rescuer keeping the hands all the time on the frame, in a safer position, a traditional system cannot be used anymore. 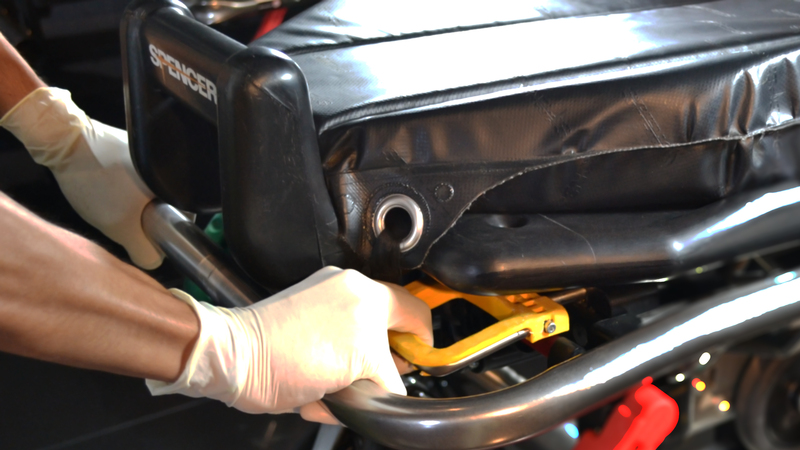 S-MAX has been thought as the most comfortable, easy and small fastening system an ambulance can be equipped with. S-MAX is 30 mm thick and 80 mm width and it makes it the less bulky integrated fastener on the market. Improves the efficiency of the rescuer with an easy release system and an integrated runner which reduces the lateral movement of the stretcher, improving unloading operations. Advantages of this product are stability and safety, because Spencer guaranteed the patent 10G for this device, a quality certification that Spencer boasts all over the world. Safety guaranteed by S-MAX is completed by SHARP, the semi-automatic release system for Spencer stretchers. SHARP allows the rescuer to release the stretcher rapidly, without leaving the grip on the frame. Hands must be firmly kept on the stretcher’s frame in order to control weight, slipping and legs controllers. Just three fingers of your right hand and you can activate the SHARP lever to release the stretcher from the ambulance’s board. No risk of injuries, less time of intervention. The most critical phase of movement has now found a solution without obstacles, thanks to SHARP and S-MAX by Spencer. Work in total safety for the best performance!